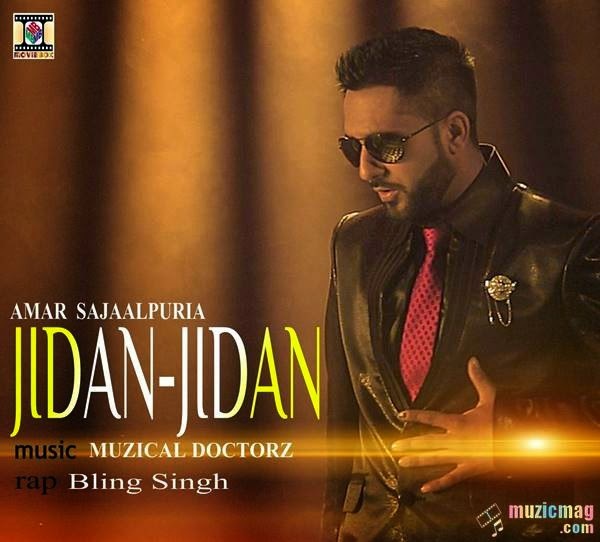 Lyrics of Song 'Jidan Jidan' from Amar Sajaalpuri's New Music Album 'Roohan De Haani'. Music of the track is Produced by Muzical Doctorz (Sukh-E Singh) while the lyrics are penned by Amar Sajaalpuri. Lyrics of Song 'Jidan Jidan' from Amar Sajaalpuri's New Music Album 'Roohan De Haani'. Music of the track is Produced by Muzical Doctorz (Sukh-E Singh & Preet Hundal Together) while the lyrics are penned by Amar Sajaalpuri.